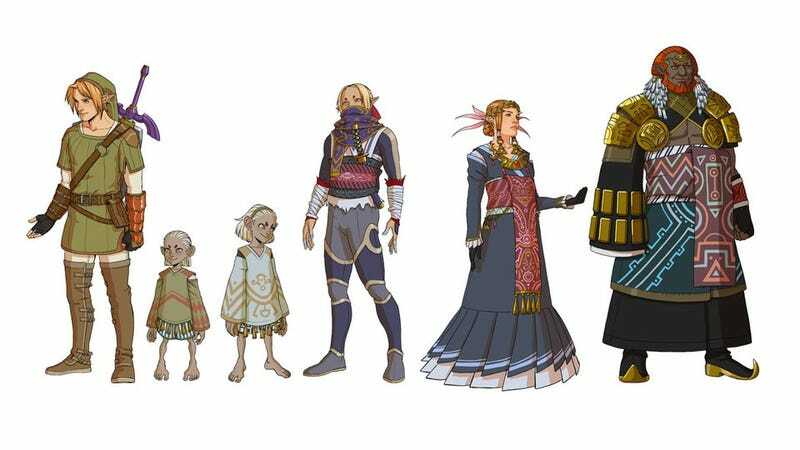 Despite being developed entirely by Japanese men and women, The Legend of Zelda has always had a more Western aesthetic. Something this wonderful fan art seeks to address. French artist Gerwell has reimagined some of the series' main characters for a fantasy project of his, and in this project, there are less belts, heavy leather and pouches, with more flowing robes and an overall increase in the Eastern influences on display. I love the Zelda design. As Gerwell says in his description, he wanted "OFF with Zelda's pink dresses! ", and seeing her in something more adult has her looking more, well, adult. And less like Princess Peach with pointy ears.